Monday, Januray 19th: Happy MLK Day & hip hip hooray for No School! 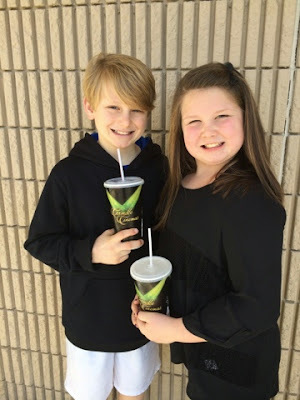 Today we enjoyed our day out of school! We went to see Alexander & the Terrible Horrible No Good Very Bad D@y and then Jackson and Brylee went over to a friends house to play! We enjoyed our low key day! Can this weather stay around for a while?!?! 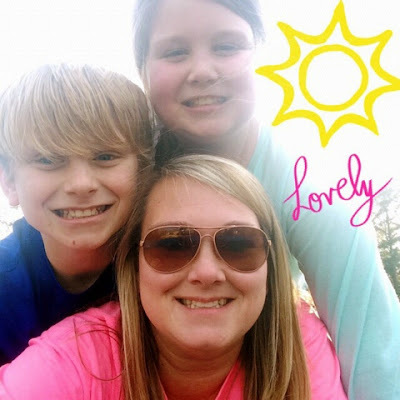 We enjoyed playing outside in the beautiful weather! I even jumped on the trampoline with the kids this afternoon! I always score major mom points when I do that! When daddy got home we enjoyed a walk/ride around the neighborhood! I have spring fever for sure!!! 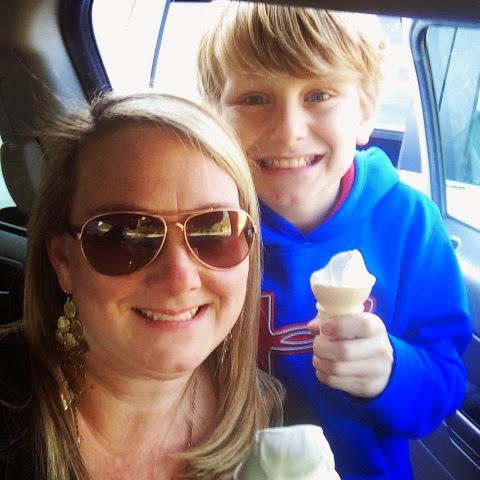 Wednesday, January 21st: I scream, you scream, we all scream for ice cream!!!! I have a slight addiction to McDonalds ice cream cones! I don't know why but I think I could eat one everyday if I did not use extreme will power and resisit them! I love soft serve ice cream! Well, our McDonald's ice cream machine has been "broken" for like a week! So today was allergey shot day for JP and McDonalds is across the street so finally I got my ice cream cone! I told the kids if they said their ice cream machine was not working I was calling corporate! Ha! Brylee said "please don't tell them that; that is so embarrassing!" LOL!! 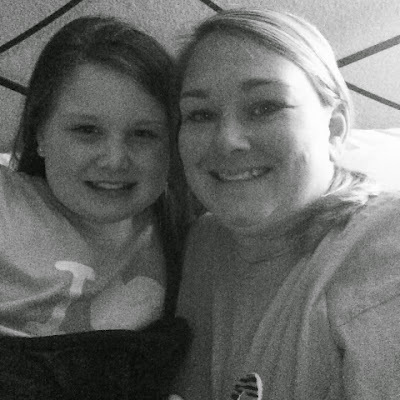 Thursday, January 22nd: My Little Snuggle Bunny! JP and RP had basketball practice at 8:00pm tonight! Ugh! Not a fan of that practice time... My kids are in bed by then! So I told Brylee she could come and lay in bed with me while they were gone! We played Subway Surfers (yes, I am addicted to that game too... Gezz mindless entertainment) and we were both asleep by the time they got home! It was so nice! Friday, January 23rd: Happy Rainy Friday! 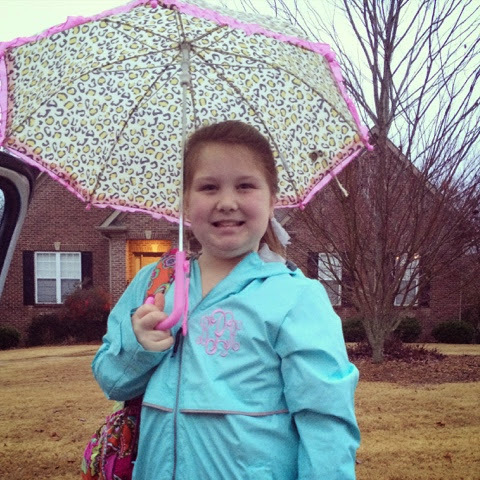 Brylee looked mighty cute on a rainy Friday waiting for the bus! She was a little excited it was raining because that meant she got to wear her new rain boots & rain coat she got for Christmas and use her new umbrella she got from Princess Katie! She said "I am all dressed and ready for New York!" Ha! I don't think so little missy!!! Saturday, January 24th: A Whole Lot of Basketball!!! Jackson and his team sqeaked by with a win today! Gosh! It was a nail bitter... They won by one point! 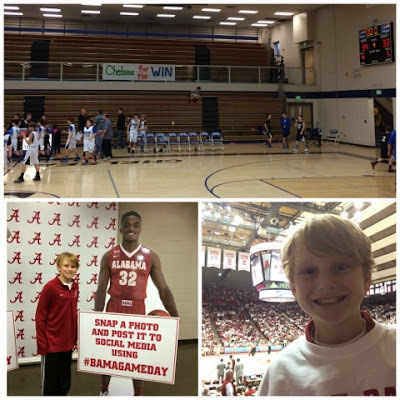 Then after his game RP, G-daddy, & JP headed to Tuscaloosa for the AL/AU basketball game! They had fun!!! JP loves anything Alabama that is forsure! Sunday, January 25th: Sunday Family Fun Day! Today after church we loaded up and headed to the park! We hit and threw some softballs & baseballs for a little bit! Gearing up for those seasons to start again in a few weeks! Then we walked/rode the track! We rewarded our efforts with a Steel City Pop (well and sweet frog for JP)!! 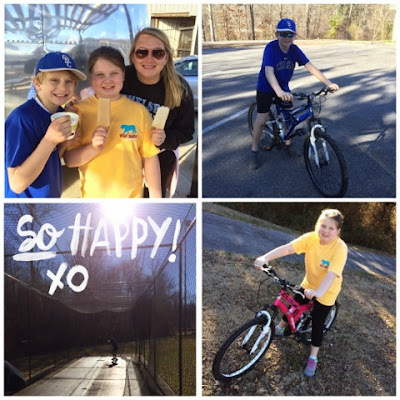 It was a super fun day of enjoying the beautiful weather while we can!